Follow YouthMetre’s past activities and plans here. Scroll down for EU Policy updates. YouthMetre team organised a seminar and workshop in Prague hosted by the Bakala Foundation. Martin Maska introduced participants into political marketing and youth advocacy, Mariell Raisma (EYP Board Member) presented principles and methods of communication with media. YouthMetre partners presented their project at the EYE (European Youth Event) conference at the European Parliament in Strasbourg on 1 June. A workshop was coordinated by European Youth Press and EUROGEO and the University of Zaragoza presented the tools and the GeoCitizen app. You can find more information here and the presentation on Slideshare here. YouthMetre team organised seminar and workshop called “Yes, you can! E-keysto youth participation in decision making” in Vilnius. The event was attended by representatives of Lithuanian youth organisations. Martin Maska presented them YouthMetre and GeoCitizen tools, as well as topic of youth advocacy and tools for successful campaigning. YouthMetre was presented at the European Commission Scientix conference as a scientific approach to data gathering and visualisation in Brussels. More than 600 science educators attended the event. YouthMetre final conference with title “Structured Dialogue: the use of digital tools to foster youth engagement in policy-making” will take place on 24 April 2018 in the Committee of the Regions in Brussels. The registration to the event is requested to access the CoR. Please register until 9th April, 12:00 CET by submitting form available on this link. You can find more information here and the agenda here. A YouthMetre Training Course was developed to help young Europeans understanding and influencing youth policy. The resources are online, and are available for free through the Training page of the project website..
YouthMetre at the World Forum of Democracy: Un profesor de la Universidad de Zaragoza participará mañana en el Foro Mundial para la Democracia. Dissemination of YouthMetre at the Spanish Association of Geographers’ Annual Meeting 2017. Presentation: Future of Learning Conference, Brussels “Digital Storytelling: using the potential of maps and open data on the Cloud”. Getting noticed! 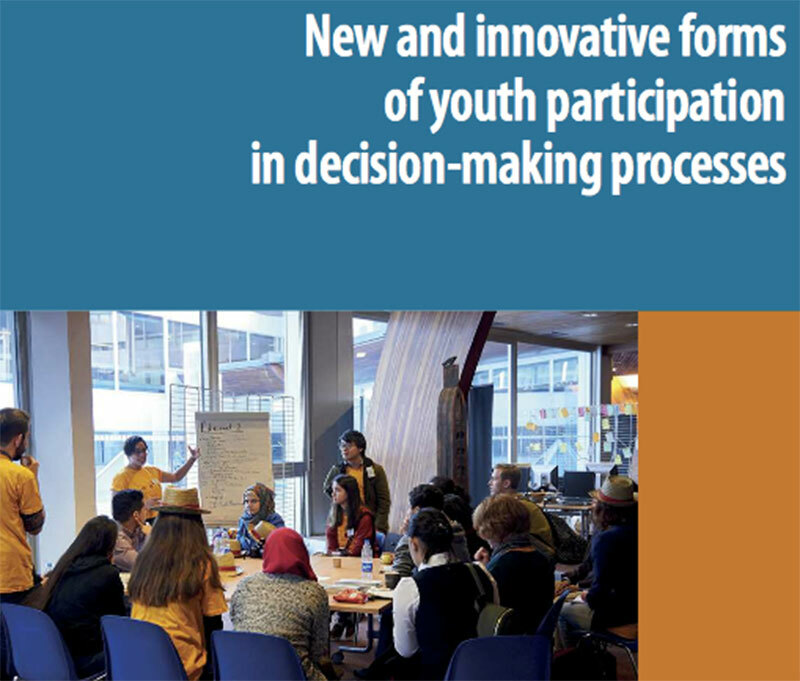 YouthMetre innovation in new Council of Europe publication. ‘Promoting e-participation of youngsters across Europe’ YouthMetre in the spotlight. YouthMetre consortium organises workshop “YouthMetre: an innovative tool for e-participation of youth in policy making across Europe” on 12 October 2017 in Brussels. The deadline for registrations is on 30 September 2017. You can also check official flyer. YouthMetre was presented at the First International Korean-European Joing Conference on Geographical Education. 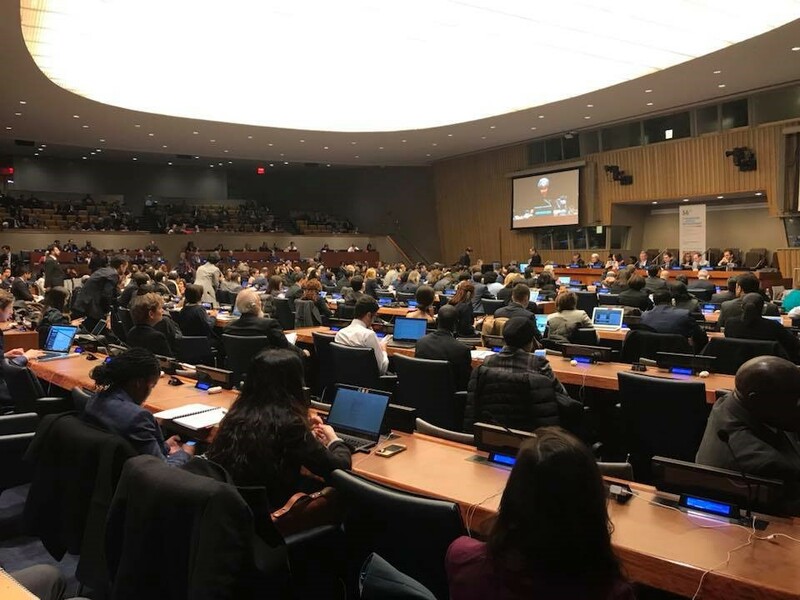 European Youth Press and ARS for Progress of People were present at G100 – the final event of the 5th cycle of Structured dialogue for the Belgian Wallonn Region. 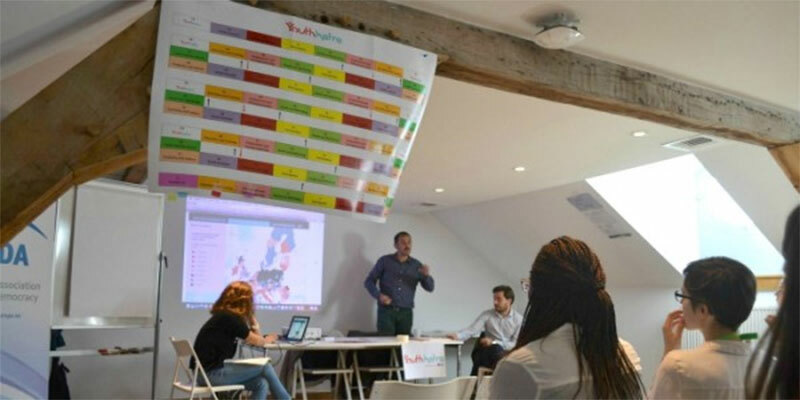 The event was organised in Namur by the Conseille de la Jeunesse de la Federation Wallonie-Bruxelles and gathered about 50 young people, local policy-makers and youth NGOs. YouthMetre was showcased as a best practice during the Symposium Youth Policy Responses to the Contemporary Challenges Faced by Young People. The symposium was organised in the framework of the Czech Chairmanship of the Committee of Ministers of the Council of Europe in Prague. The YouthMetre has been accepted to participate to the conference The Future of Education and Youth Work: Approaches and Practices around the World, which will take place in Athens from the 30th of November to the 2nd of December 2017. On this occasion the ARS for Progress of People’s staff will present the paper Can web-tools restore youth participation in politics?, disclosing results and insights collected throughout the YouthMetre study groups on the topic of youth engagement in decision making processes. ALDA held a dissemination and awareness raising event on the YouthMetre project for local authorities in Toruń – in the framework of their General Assembly. ARS for Progress of People, European Youth Press and ALDA took part to the event Future EU Youth Strategy: Shape it, Move it, Be it, organised by the European Commission within the framework of the European Youth Week. The event has been the occasion to gather youth policy experts and stakeholders and let them brainstorm about strenghts and weaknesses of the EU Youth Strategy. Dissemination of YouthMetre at the American Association of Geographers Annual Meeting 2017. YouthMetre workshop at EUROGEO 2017 Conference Key challenges for geographical education, Amsterdam. YouthMetre launched at the European Committee of Regions! 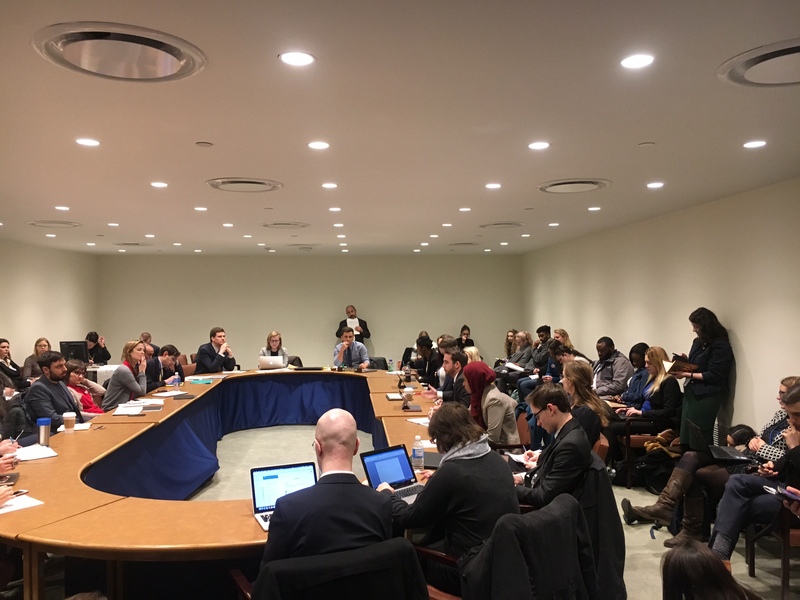 YouthMetre presented at 2017 United Nations ECOSOC Youth Forum: The role of youth in poverty eradication and promoting prosperity in a changing world. Unizar has had an active participation at the breakout session on key regional priorities for youth development: Europe and North America. New York, UN Headquarters. YouthMetre was presented at the EuroMed Forum Sustainability session, Malta. See more. 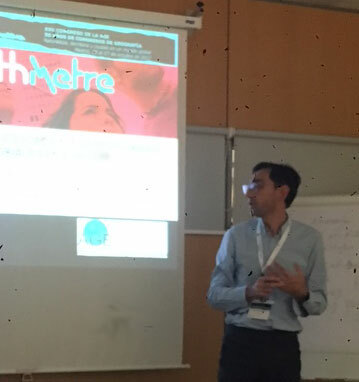 YouthMetre was disseminated at the 31st Session of the Congress of Local and Regional Authorities of the Council of Europe, Strasbourg, France. YouthMetre presented at the annual meeting and conference annual meeting and conference of EUROGEO in Malaga, Spain. CESIE published an article about YouthMetre partners meeting held in Zaragoza on the 13 and 14 June. Focus on Youth, Intergenerational event at the Council of Europe Youth Department, speed dating for youth. See more. the University of Cambridge hosted 3rd Interdisciplinary Conference on Social Protest. The topic was “Multidisciplinary Approaches to Social Change,Protest, and Political Mobilisation“. Karl Donert participated as a speaker and presented YouthMetre. YouthMetre was presented at the European Youth event, which was hosted by the European Parliament in Strasbourg, France. One article about the YouthMetre was also disseminated during the event through channels of the European Youth Forum. Karl Donert published a short article about YouthMetre on the people2power website. First press release about the YouthMetre. News about YouthMetre Kickoff meeting were published on web, Facebook and Twitter of CESIE. Article about YM Kickoff meeting was published on the website of ALDA in five languages: English, French, Italian, Russian and Croatian. European Parliament’s CULT Committee held an exchange of views on the mid-term assessment of the EU Youth Strategy. 7 Ways Local Governments Are Getting Creative with Data Mapping.